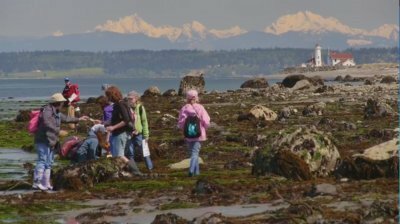 Port Townsend Schools are transforming K-12 education by unifying learning around a central maritime theme. This is not an elective track or a series of field trips, but a holistic change for every classroom, every subject, every grade level: making education come alive by connecting it to the students’ community. Change takes work, and we are not pushing yet another unfunded mandate in education nor shall we compromise student learning during this transition. Each grade and subject has unique needs for implementing this change, and no one knows that work better than the teachers themselves. Lead staff are working side by side with classroom teachers to define the resources, time and support needed to successfully implement this maritime framework in their classrooms. Teachers areprovided time over the summer and throughout the school year to immerse themselves in the initiative and work with other teachers, a curriculum consultant, and community partners to design change elements to be implemented each year.